Barcelona’s La Liga winning run ends at eight games, after a pulsating 2-2 draw against Valencia at the Nou Camp on Saturday night. The draw extends Barcelona’s lead at the top of La Liga to six points, with Atletico Madrid playing tomorrow, as Valencia stay seventh. The visitors flew out of the blocks, with Kevin Gameiro handing them the lead on 24 minutes, firing home from inside the area, after a great run and through ball from Rodrigo Moreno. Valencia were in dreamland six minutes later as Dani Parejo hammered home a penalty after Sergi Roberto fouled Daniel Wass. 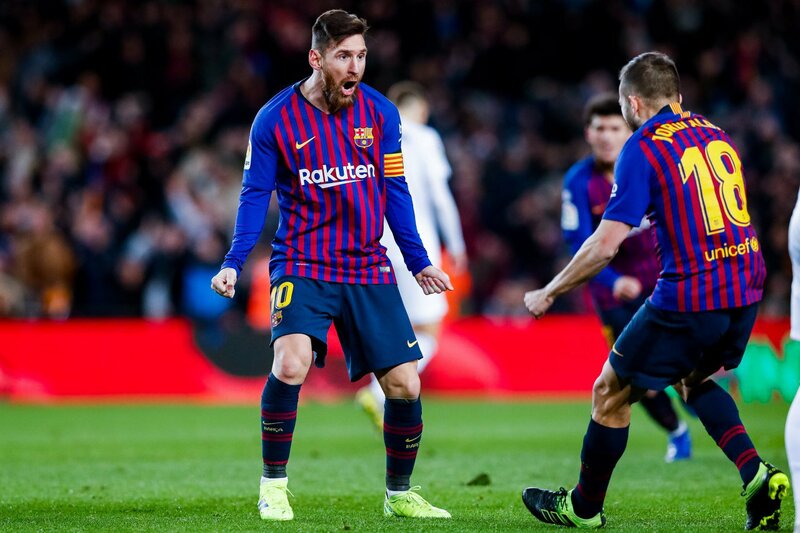 Messi pulled Barcelona back into the tie on 39 minutes, scoring his 20th La Liga goal of the season, from the penalty spot after Toni Latorre fouled Nelson Semedo. Barcelona took the game to their visitors after the break, and Messi netted an equaliser on 64 minutes, after a loose ball fell his way just outside the area – and he curled a brilliant strike past Neto and into the bottom corner. Both sides had chances to win it in the closing 20 minutes, with Philippe Coutinho curling a free kick just wide, and Rodrigo and substitute Santi Mina forcing saves from Marc Ter Stegen.